Attorney Lowe is available to serve as a private Guardian Ad Litem in family law cases and enjoys helping families determine the best interests of their children. Attorney Lowe takes pride in this area of her practice and is committed to making timely investigations into each case in order to provide accurate information to the parties and the court for efficient resolution of each case. 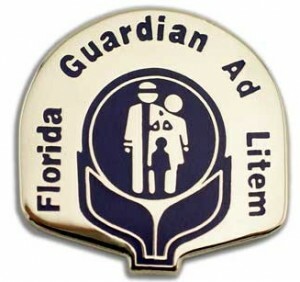 A guardian ad litem (“GAL”) is sometimes needed in private family cases involving minor children. A GAL can be used to help with a wide variety of issues, including a time sharing schedule, determination of parental responsibility, relocation, medical and educational issues involving the child, etc. When the parents cannot agree, the hiring of a GAL is often an excellent choice because, if appointed, the GAL can serve as the “eyes and ears” of the court, so to speak. The GAL will typically spend time with each party and the child or children, a visit to the homes of the parties, and interview family members and other witnesses such as the child’s doctor, teacher or counselor, depending on the needs of the specific case. The GAL can also speak directly to the child(ren) in order to determine the maturity level of the child(ren) and can recommend whether his/her/their preference should be taken into consideration by the judge. Attorney Lowe is available to serve as a private Guardian Ad Litem in family law cases and enjoys helping families determine the best interests of their children. Contact our office for further information on this service.